Special Containment Procedures: Foundation patrol boats are to monitor the area surrounding SCP-3286 to prevent civilian access. 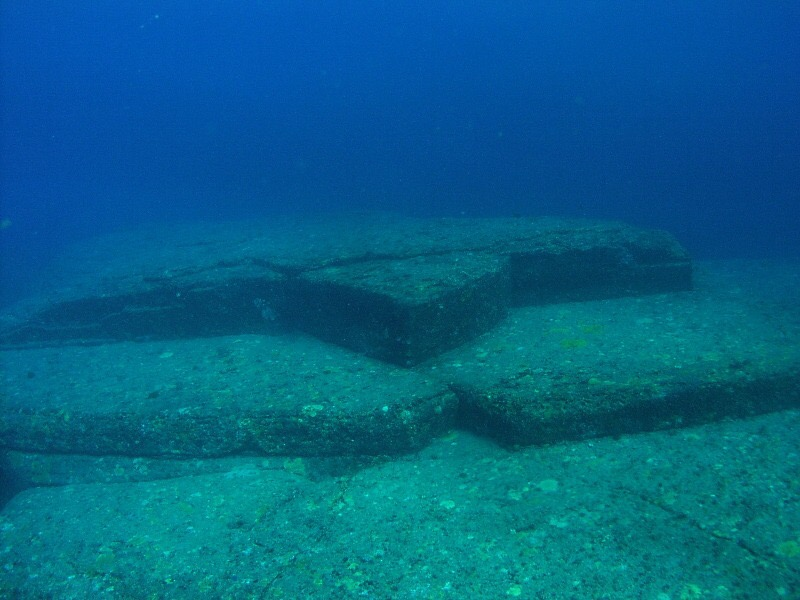 An underwater barrier has been built to surround the plateau that SCP-3286 resides on. SCP-3286’s containment area is to be routinely monitored for foreign organisms. Under no circumstances are personnel to enter SCP-3286’s enclosure. One live adult fish longer than 45 centimeters is to be released into the enclosure per day. SCP-3286 is to be regularly monitored for death among the colony. SCP-3286-B events are to be regularly tracked and monitored. Description: SCP-3286 is a species of fish sharing physical similarities with a largemouth bass (Micropterus salmoides) located off the coast of the Fort Hommen Nature Reserve, Guernsey. Instances of SCP-3286 are able to filter saltwater through their gills, despite largemouth bass being primarily freshwater fish. All instances of SCP-3286 are located on top of an underwater plateau and have never attempted to leave the area above the plateau. Located in the center of the plateau is a black statue resembling an instance of SCP-3286. The main difference between SCP-3286 and other non-anomalous members of its species are two pale humanoid legs on the stomach between the pelvic and pectoral fins. SCP-3286 instances will only use these appendages to move, despite autopsies of instances confirming that the fins and tail of the entity still function. Despite their small size, instances of SCP-3286 are able to produce extreme amounts of force with these appendages, having been observed producing kicks of up to 270 newtons of force. SCP-3286 are extremely territorial and will attack any living entity that enters the area above the plateau. Once this entity is killed, SCP-3286 will swarm the organism’s corpse and consume it. SCP-3286-A is an elderly instance of SCP-3286. A small headpiece constructed of coral and various shells is affixed to the head of SCP-3286-A. SCP-3286 appears to follow a vaguely monarchical society, with SCP-3286-A being treated as the leader of the colony. SCP-3286-A does not appear to require nutrients, having never been observed eating while in containment. SCP-3286-A is the only known instance capable of performing SCP-3286-B. SCP-3286 instances are not able to breed naturally and require SCP-3286-B to procreate. SCP-3286-B will be performed if either of two factors is met; An instance of SCP-3286 has died within the last 3 days, or 4 months have passed since the previous SCP-3286-B occurrence. Once either of these conditions is met, SCP-3286 will resume normal behavior until an aquatic creature measuring less than 45 centimeters in length swims above SCP-3286’s plateau. SCP-3286 instances will then incapacitate the organism rather than killing it, and proceed to initiate SCP-3286-B. Addendum: A transcript of a routine SCP-3286-B occurrence has been provided below. 00:05 - Foundation personnel releases a non-anomalous Atlantic Herring into the water above SCP-3286’s containment. 00:14 - SCP-3286 becomes aware of the released organism. 00:19 - SCP-3286 instances begin using their anomalous appendages to maneuver towards the subject. 00:23 - Instances reach the subject. They surround the organism and begin violently kicking it. 00:43 - Subject is incapacitated. SCP-3286 instances begin pushing the unconscious creature towards the plateau. 01:35 - SCP-3286 instances reach the plateau. SCP-3286-A intercepts the subject and maneuvers it towards the statue. 1:57 - SCP-3286-A reaches the statue. At this time, all SCP-3286 have gathered around the statue and are standing motionless. 2:06 - SCP-3286-A places the unconscious subject at the foot of the statue. SCP-3286-A opens its mouth and begins emitting a low note in a male voice. Instance continues this for the duration of the event. 02:22 - Subject begins slowly elongating and widening. Organism shows no outward signs of pain. 02:30 - SCP-3286 instances surrounding SCP-3286-A begin emitting a similar low note in varying voices. 02:45 - Subject’s fins and tail begin to change in shape. Subject has ceased elongating and is now approximately 73 cm in length. Skin begins to take on a dull green hue. Smaller features such as the eye color and gill shape begin changing. SCP-3286-A begins stomping on the rock plateau in a rhythmic fashion. 03:17 - Subject is now visually identical to a largemouth bass. Two black circles appear on the subject’s stomach region. SCP-3286-A begins stomping more erratically. The statue the subject is placed upon begins slowly vibrating. 03:21 - Translucent pale limbs begin emerging from within the circles on the subject’s stomach. These limbs appear to be on a two-dimensional plane, appearing flat when observed from the top. The water surrounding the statue begins to take on a dark hue. 03:29 - Limbs have fully emerged from the circles. The emerged limbs widen into three-dimensional objects, immediately losing their translucent appearance. The black water surrounding the statue has now completely obscured it, the subject, and SCP-3286-A. 03:43 - Faint rays of green light are observed emanating from the cloud of water in brief flashes. 04:06 - The cloud of water surrounding the statue appears to be absorbed into the subject. The subject then rises from the base of the statue and joins the gathering of SCP-3286 instances. All instances then disperse, resuming their normal behavior.